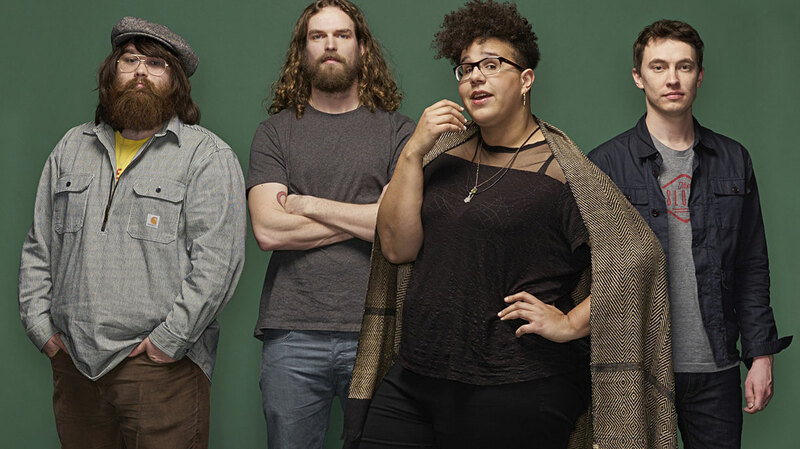 Already championed by Jack White, Alex Turner and Adele, Alabama Shakes have more than vindicated the celebrity endorsements with their debut, offering up an abundance of soulful, Southern blues rock. We caught up with drummer Steve Johnson to hear about the band’s journey so far and why we should all maybe take our musical pointers from ‘Bill and Ted's Excellent Adventure’. Hey Steve, how are you all feeling about the impending album release? Is the critical reception important to you as a band? Um, I don’t think it’s important really. It is definitely interesting to see what they have to say. Our music makes us so happy so we’ll just continue to write it, if only for that reason. Bill and Ted's Excellent Adventure pointed me towards Led Zeppelin. You’ve endorsements from some big names, including Jack White, who you’re going to be supporting on tour, right? Yeah, we first met Jack at Third Man Records in Nashville, when we were invited to play the SoundLand music festival. We actually had a show that day that wound up getting cancelled for some reason, and by some fortunate twist of fate we wound up on the bill at Third Man. He’s so nice, I didn’t really talk to him a whole lot; I was a little star-struck. I know we’re playing at The Ryman [Auditorium] with him and, being from Alabama and that close to Nashville, The Ryman is like a staple in this area: when you’ve played the Ryman you know pretty much you’ve accomplished something. So I’m really looking forward to opening for him there, but every other show really. Is there anyone in particular you’d like to get the seal of approval from? It would definitely be cool but it’s not something we seek or anything. If The Boss was to hear it and like it, it would put a smile on my face for sure. I mean, there’s been numerous [famous] people who’ve said they like our music or who have come to our shows, and they’re all great. I’m definitely glad they like our music! A big congratulations on Boys and Girls. Can you tell us a little about the inspirations behind it please? The album took close to a year to record and I think a big part of the inspiration was what we were going through at the time, like working our day jobs and relationships. I can’t really speak for everybody but, from a musical standpoint, I drew inspiration from the members in the band. And then there were some other bands that we were playing with around the time we were recording, that we developed friendships with, like Hurray For The Riff-Raff. Going out and watching local bands would inspire me as well. But aside from that, before we all had Southern rock, country and soul influences. Artists like The Rolling Stones and James Brown. If you had to briefly sum up your sound to someone who’d never heard you, how would you do so? Did the fact you all had full-time jobs, and were recording in intervals, have an impact on the sound of your debut? With our time being limited, we knew needed to get as much work done as possible, so I think it kinda pushed us to work really hard in the studio. We would be there weekends and track four or five songs, but then we wouldn’t be able to go back to the studio for, like, two month. And then, finally, when we do get to go, we can only go for one day so we’d sit there and mix until 11 or 12 at night, after going from early that morning; as long as it took until we were finally satisfied with the way that it sounded. So, yeah I would say that it definitely affected it. You produced the album yourselves. Did any of you have any previous experience of producing? Producing to me is no more than, like, writing a song: if you write a song and track it, you’ve pretty much produced that song. So I guess we’ve been producing our own music since day one, though without the proper gear and technology. Mixing, we had a little bit of experience with but we went into the studio with an engineer and that made it a lot easier on us. If there was one thing that our engineer said that stuck out to me the most, it was, “You can’t take it out unless you put it in first.” So if you think it might sound cool you might as well go ahead and do it – if you don’t like it you can always remove it. Would you consider working with a producer in the future? I would like to continue self-producing. I think we work best writing songs outside of the studio, and if you’ve got a producer with you, like, breathing down your neck and constantly throwing ideas at you, it can get a little stressful. I would definitely like to continue self-producing but there are three other people in the band as well... (Laughs) So we’ll see! How does the writing process work between you? It varies from song to song. There are times when it’ll start out with a guitar riff, or with lyrics. Other songs have come together in the studio or come together live. Y’know every song starts out as an idea and we play with it – and then it’ll kinda develop on its own. Is there a track on your debut that you’re most proud of? I would have to say "Heartbreaker" just because that song was more or less written in the studio – the exact opposite of how we normally work. It started out as an idea that Brittany [Howard, vocals/guitar] had. I had never heard it before, had no idea what I was gonna do on the drums and I felt like we were on the clock. It put me on the spot and forced me to play and play well. I just think it’s a great song: when we recorded it I knew it was special, and the more I listen to it the more I like it. So what are you most looking forward to for the rest of 2012? Definitely the album coming out, but after that I would say the European tour. I’ve been all over the United States and to Canada but I haven’t been across any oceans but one time, and that was for London. And I haven’t been anywhere but London so I’m really looking forward to that. It’s gonna be awesome to play lots of festivals in Europe. 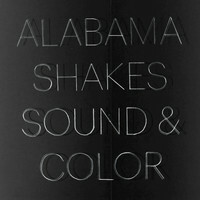 What’s been the highlight of being in Alabama Shakes so far? Probably getting to play with Zac [Cockrell, bass], Brittany and Heath [Fogg, guitars], honestly . Because if I didn’t get to play with musicians as good as them we wouldn’t be where we’re at. It gets better and tigher every time that we play together, and our relationship gets tighter. What would you like to achieve ultimately as a band? I would like to have a studio to call our own. Maybe a place that we can all invest in and build, and to have the freedom to go there and have as much time as we want to record as much music as we want. Finally, if you had to recommend one album, what would it be and why? Led Zeppelin’s Houses Of The Holy. From the time I was probably 10 or 11 years old I was magnetised to that album: the cover of it, the song titles... Do you remember in ‘Bill and Ted’s Excellent Adventure’ when they’re talking about their trip to go get Socrates and he’s like, “Yeah man, it looked very much like the cover of Houses Of The Holy with all the pillars”?! The comment in Bill and Ted pointed me towards Led Zeppelin, but then, once I finally got it, I was hooked from song to song to song. It was my prize possession when I was 13 years old.